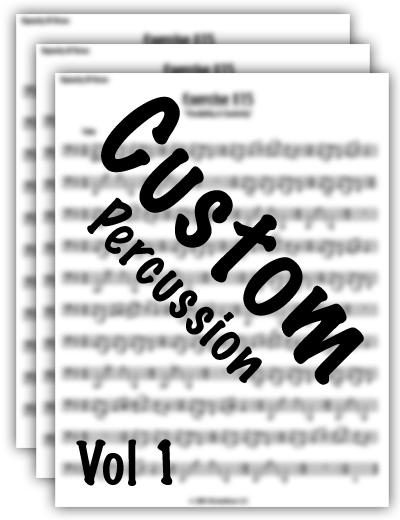 Band Directors without an assistant or a large drum staff will love this percussion supplement to Wayne’s standard setting technique program titled: Custom Band Warm Up Volume 1: Technique Essentials. Note: This package is included with the purchase of Custom Band Warm Up Vol 1. This supplement has been created to maximize the amount of time you have in your rehearsal day by combining the warm up and technical development of both the wind and percussion ensembles into one. Have your symphonic or marching band benefit from the revolutionary approach of this "State of the Art Technique Program." It'll quickly transform the beginning of your rehearsal into an efficient, quick-paced learning experience for all your students.